As Californians struggle through a four-year drought, lake and reservoir levels are at historic lows – and many of us are looking for ways to lower our water use. Want to save 660 gallons of water? You could quit showering for two months – if you can ignore the heartfelt pleas of friends and family begging you to resume. Alternatively, and amazingly, you could save the same amount of water by simply foregoing a single hamburger. 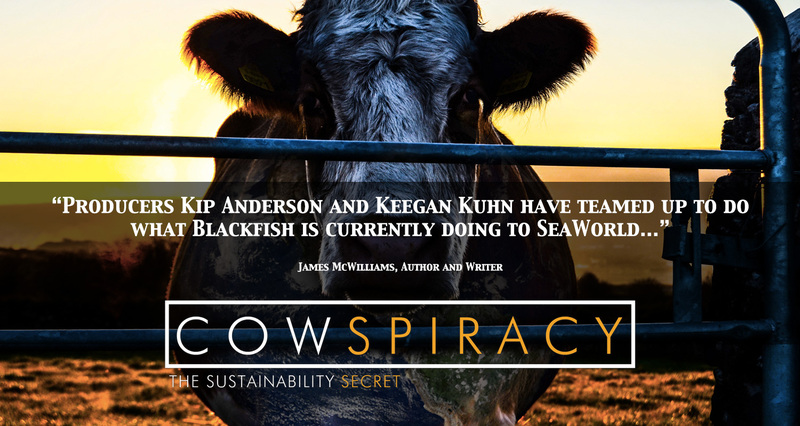 This is just one of the astonishing statistics to emerge from the groundbreaking new documentary film “Cowspiracy” by Kip Andersen and Keegan Kuhn. The pair set out to learn why the nation’s biggest environmental groups routinely ignore the massive environmental effects of animal agriculture. Through a series of interviews with environmental leaders that are sometimes tense, sometimes bizarre, and sometimes downright funny, a pattern of denial, fabrication and wishful thinking emerges that will leave you shaking your head and wondering who’s really calling the shots at these huge eco-charities. You might even think twice before writing another check to Greenpeace or Sierra Club. I was fortunate to be interviewed for the film and given a chance to explain some of the hidden, or externalized, costs of meat and dairy (a topic I explore in my book Meatonomics). 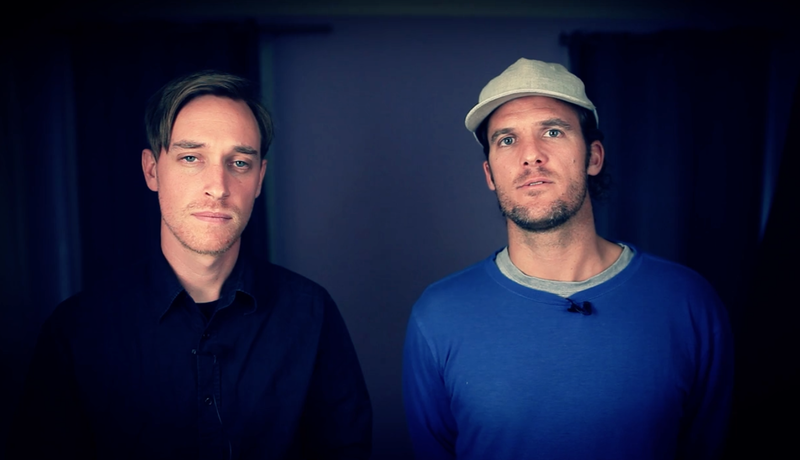 Although they’re busy screening “Cowspiracy” and discussing it at conferences around the country, the two filmmakers took time out from their hectic schedules to answer a few questions – like why they got involved in the project, how the environmental groups that they embarrassed are responding, and the most outlandish thing that happened during the filming. First the basics: How did you get the idea for this film, how long did it take to make, and what sort of background in film-making did you have going into it? Kip Andersen: After watching the documentary “An Inconvenient Truth” about the catastrophic impacts of global warming, I started following all the advice of the major environmental organizations on how I could best help the planet. But when I found out that animal agriculture plays an even bigger role in environmental destruction and resource degradation than the fossil fuel industry, I was shocked that the organizations I had trusted were not talking about it. I tried emailing and calling these groups for months in order to get answers, but no one would ever get back to me. I realized that I was going to have to take a camera into these organizations’ headquarters if I wanted answers. Keegan Kuhn: Kip asked me to be involved in this project because of my background in making documentaries through First Spark Media. I had recently just finished the feature length documentary “Turlock” and it was perfect timing to jump into another film. We worked on Cowspiracy intensively for over a year. The filmmakers: Keegan on the left, Kip on the right. Some potential funders backed out. What impact did that have on the film-making process and on your morale? How did you fund it after that? KA: We had applied for a number of grants and funding for making Cowspiracy. A few foundations took serious interest in the film, but after having internal meetings with their boards and looking at the potential risks of being associated with such a controversial documentary, each one of them backed out. It was disheartening and made us wonder what we were really getting ourselves into. The film ended up being entirely self-funded by a non-profit I created, A.U.M. Films. The film should be a source of embarrassment and discomfort for many of the nation’s leading environmental organizations and government agencies, including Greenpeace, Surfrider, Sierra Club, Rainforest Action Network, National Resources Defense Council, the California Water Resources Control Board, and others. Executives with these organizations come across in the film as ignorant, disingenuous, or both. Have any of these organizations or their executives publicly acknowledged the film or the issues it raises? Do you think the film will someday cause these organizations to acknowledge the massive role of animal production in climate change? KA: We were shocked by the evasive nature of so many of the executives we interviewed for the film. These are people who have supposedly dedicated their lives to protecting the environment and yet when asked simple questions about the environmental destruction caused by animal agriculture, they would consistently sidestep the question and avoid talking about the subject in every way they could. KK: The organizations you mentioned should all be embarrassed for their failure to properly address the impacts of animal agriculture. They really should be publicly apologizing to all of their supporters who have trusted them. These groups and organizations are doing good work, but they are misleading their supporters and the public into believing the fossil fuels are the only environmental ill we face. Absolutely the fossil fuel industry is causing huge ecological devastation, but when compared to what animal agriculture is doing to the climate, water pollution, topsoil erosion, deforestation, species extinction, ocean dead zones and habitat destruction, it pales in comparison. Some of these groups have responded since Cowspiracy premiered. Rainforest Action Network has released a series of images on social media about the impacts of animal agriculture and have advocated for eating less meat, which we are thrilled about. But sadly they still have not mentioned the impacts of cattle on the rainforests in these images or launched a campaign about livestock and their feed crops in relation to the clearing of the Amazon. I absolutely believe that these organizations are going to have to start addressing the impacts of animal agriculture if they want to stay in business. 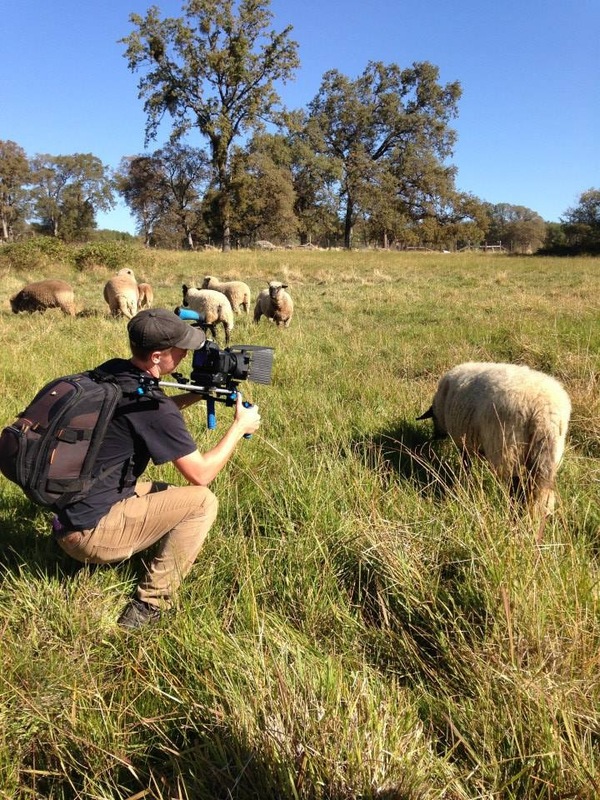 In the film, you interview the Markegard family, who raise grass-fed pigs and cattle in Northern California. In one particularly bizarre scene, Doniga Markegard says, “I love animals. And that’s why I’m in the meat business.” Her husband Erik agrees, “We do it because we love them.” Do you think they really believe this? If so, how would that kind of love even work? Or do you think it’s just a marketing line that they’ve been repeating for so long that it now comes naturally? KK: The Markegards were a very open and kind family to us and I think they justify killing the animals they raise because their animals live so much better lives than factory farmed animals. I think they really do care deeply about the animals but that emotional disconnect is very present when it comes to killing them. But to be completely fair, this is the same exact disconnect that so many people in our society have; they claim to “love” animals and yet they eat meat every day. One of the many challenges of any message that promotes a plant-based diet is finding acceptance in the mainstream community. How has this been going for you so far? KA: A lot of people are waking up to the realities of environmental issues and the peril we all face together. I think because of this unifying force of ecological collapse that the issues of promoting a sustainable diet will begin to fade. The resistance that people have been met with in the past will become so much clearer in their motivations. KK: I think the challenge that we are really facing is about information control. People can only make informed decisions about how they eat when they have the information. Luckily we are living in a time where people are desperately hungry for real information. The response we have had from truly environmentally conscious people has been amazing and I feel very strongly that with proper ambassadors for this issue we are on the right course to a sustainable future. What was the most bizarre or outlandish thing that you saw or heard in the course making the film? KA: The most bizarre thing that I saw was how Rainforest Action Network did not have animal agriculture as one of the four key issues they focus on! How can one of the world’s biggest rainforest protection groups not have the #1 cause of deforestation as one of their main key issues, let alone not having it there at all? This was the case for Amazon Watch as well, I just couldn’t and still don’t understand how they think they can/could get away with that. The whole Oceana and Andy Sharpless TED talk was also perhaps the most ridiculous thing I heard over the course of filming. Oceana saying for us to eat more fish to protect the ocean is like a zookeeper saying to kill more of their animals but to just make sure to rotate killing of animals so they don’t go extinct before they are killed. They care about fisherman, not the fish inhabitants of the ocean, nor the overall health of the ocean it seems. KK: For me, what I could not wrap my head around is how the Oceana representative said that we could sustainably take 100 million tons of fish out of the ocean every year and that it would be sustainable. Even if we allowed the ocean’s fish population to recover to pre-industrial levels, these ecosystems never evolved to handle a massive super-predator removing 100 million tons, or even 10 million tons, from the ecosystem. In a functioning ecosystem you have a feedback loop, but with human beings, a purely terrestrial species, we are essentially an alien life force mining the ocean of animals. Is there one particular scene or interview that ended up, metaphorically speaking, on the cutting room floor that you wish could have been included in the film? KA: The entire Howard Lyman interview I would have liked to include in the film! He is such a powerful force and everything he said was so impactful on Keegan and me. Eventually we will release his entire interview along with the extended interviews of many of the organizations featured in the film. KK: There were a lot of stats that we couldn’t fit into the film. For example, annually more than 3.3 million tons of palm oil is fed to livestock and yet in the massive PR campaigns about the damage of palm oil from environmental organizations, there is little or no mention of this. Another figure that I wish we could have included is the fact that pigs in the US consume more fish than human beings do. It seems one of the best ways to help save fish is to not eat pigs. Do you have day jobs? If so, what are they, and do you think the film’s success will allow you to give them up? KA: I’m a serial entrepreneur and so have a number of businesses that I run, which have allowed me to work on this film. KK: I consider myself extremely fortunate that I have been able to make a living entirely from making films for the last 3 years. I have a production company, First Spark Media, that keeps me very busy. KA: My favorite meal overall is breakfast but if I had to choose one food item it would be (right now): Nachos! I love cashew cheese and vegan sour cream on them in particular. I also love pizza and waffles (not together necessarily). KK: All I ever want to eat is vegan Mexican food. Huaraches, tacos, nopales, etc. Flacos in Berkeley, California is my home away from home. 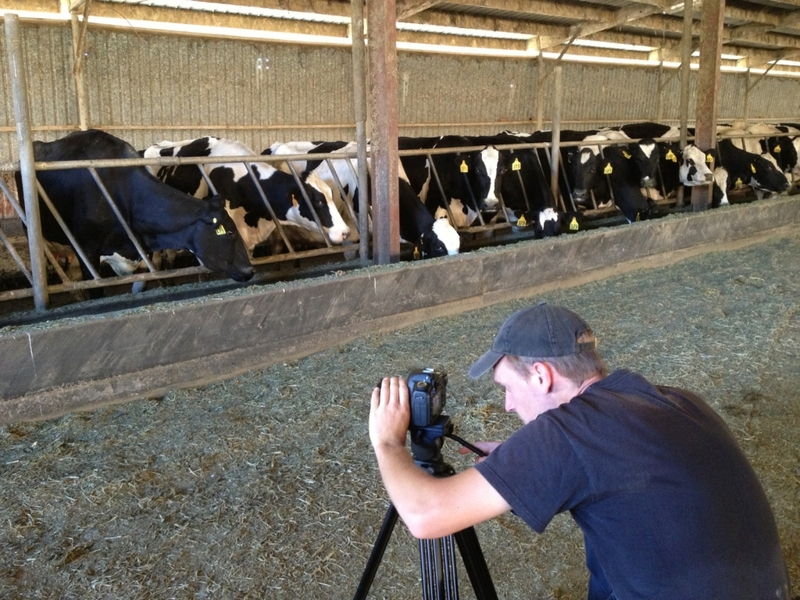 I was honored that you interviewed me for the film and featured some of the issues raised in my book Meatonomics. I’ve gotten a lot of compliments from friends who saw me in the film. So now I’m thinking Oscar nomination for Best Supporting Actor. What are my chances? Should I be working a room somewhere in Hollywood right now? KA: Ha ha, yeah we were really pleased we were able to interview you for the film. I think it’s really important that people realize that this isn’t just about a personal choice. As you say in the film, whether you’re an omnivore or an herbivore, we are all paying the costs of the animal agriculture. KK: The financial price that we as a society have to pay for this industry is massive and I’m glad that we could touch on it in the film. I feel though the cost is so much higher though than even the astronomical figure of 414 billion dollars that you state. Every single day we have to pay the incalculable price of species extinction, species that have been wiped off the face of the earth forever because of this industry. We pay with the priceless lives of children who die from lack of clean water and food while it is diverted to feed livestock, destined for western plates. And ultimately we may end up paying with our own lives unless radical changes take place. 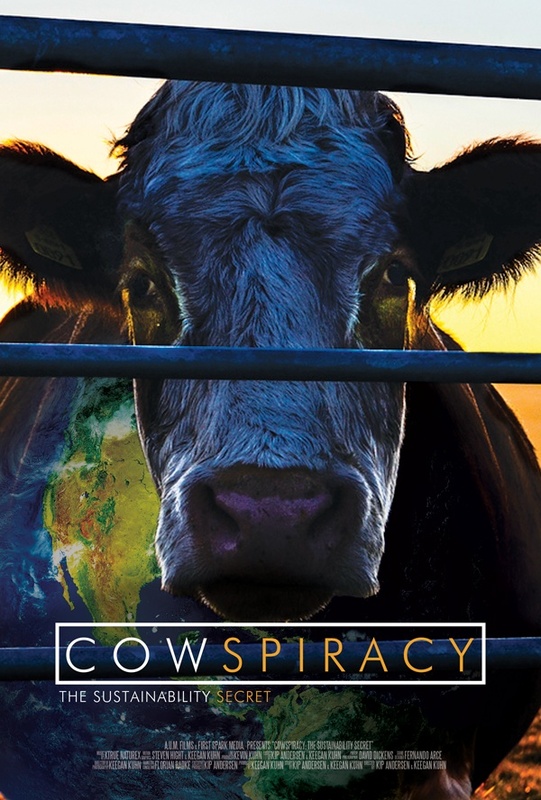 Cowspiracy is now being shown in theatrical screenings across the U.S. and many parts of the world. To attend or host a screening, visit www.tugg.com/titles/cowspiracy. The film will be available in DVD and streaming formats this fall. For more information, visit cowspiracy.com.